They gathered early under a tumultuous sky on one of the coldest day of the year. They came because the Rev. Dr. Gwynne Guibord had asked each one to join her, adding their own unique vision and wisdom to The Advisory Council of The Guibord Center. This was the first opportunity many of these men and women had had to meet with one another. His Grace, Bishop Demetrios of Mokissos, wearing an imposing tall black hat and a beautiful icon around his neck had flown in from Chicago the night before. 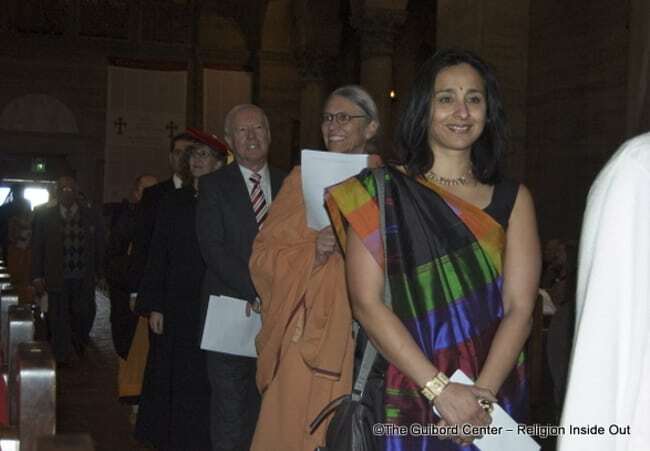 Suhag Shukla, the co-founder of The Hindu American Foundation came dressed in a colorful garb from Washington, D.C. They met and rich conversations began to flow. Many local leaders already knew each other from working together. 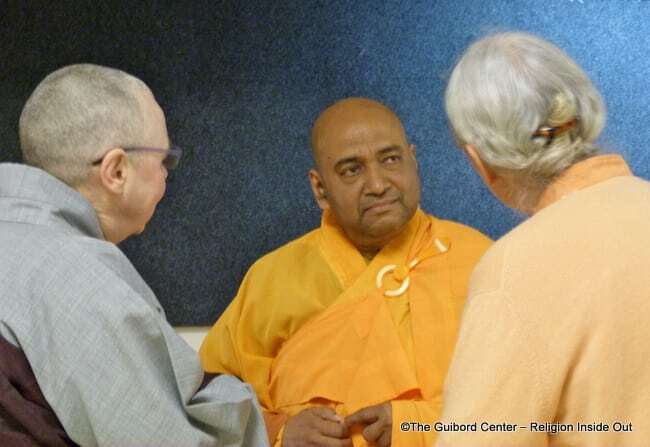 As more of these highly influential religious and spiritual men and women arrived, the conversations and excitement in the waiting area began to rise both in volume and in excitement. 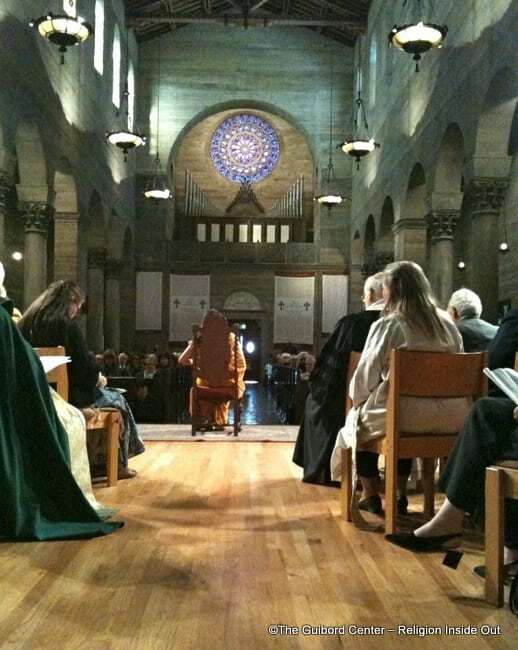 Inside the Cathedral, the faithful and the curious and the questioning began to find their way to places in the pews, many bringing their families, eager to see their own faith represented and to learn about others’ practices and traditions. Friends greeted one another. Strangers introduced. Welcomed. The mood was festive. Expectant. 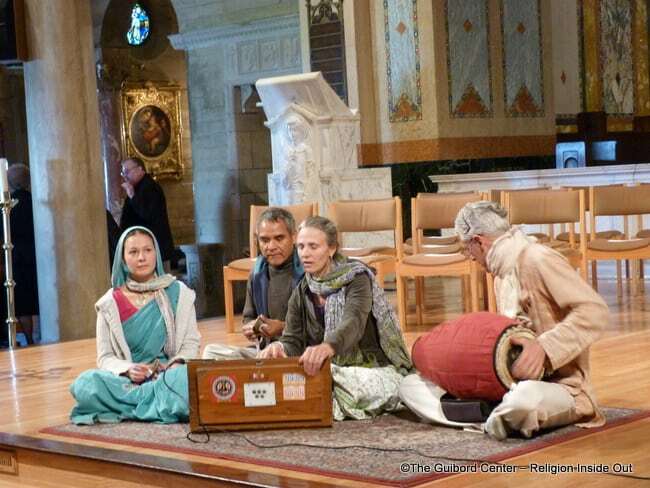 Soon musicians forming a Hindu Temple Bhajan Band set up their kirtan instruments on the stage and within moments the animated chanted music of the ancient Vedas filled the air. People smiled. Children laughed. Something wonderful was happening. Outside The Advisory Council and Board Members were now lining up for a quick historic photograph and getting ready to process inside. The Program was ready to begin. 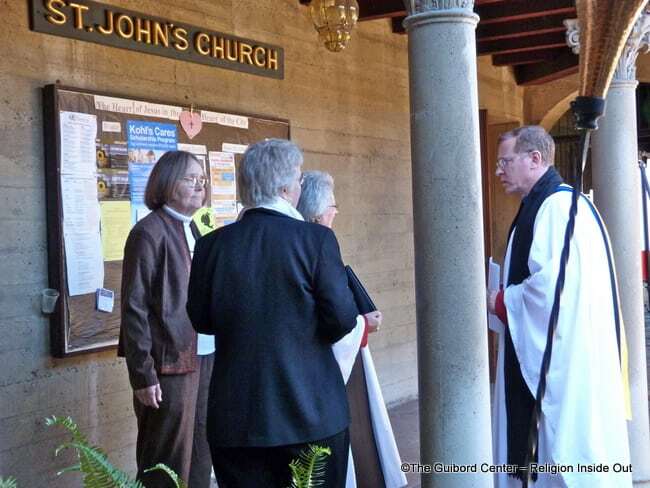 The Deans of St. John’s Episcopal Cathedral welcomed everyone warmly. The Very Reverend Canon Dan Ade invited people to think of the cathedral as their grandmother’s house, a place where they were cherished guests who could do no wrong. 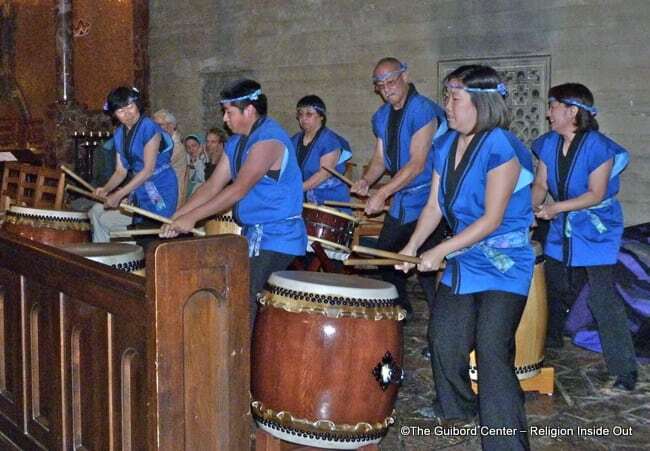 And then the Taiko Drums sounded. Hearts quickened. 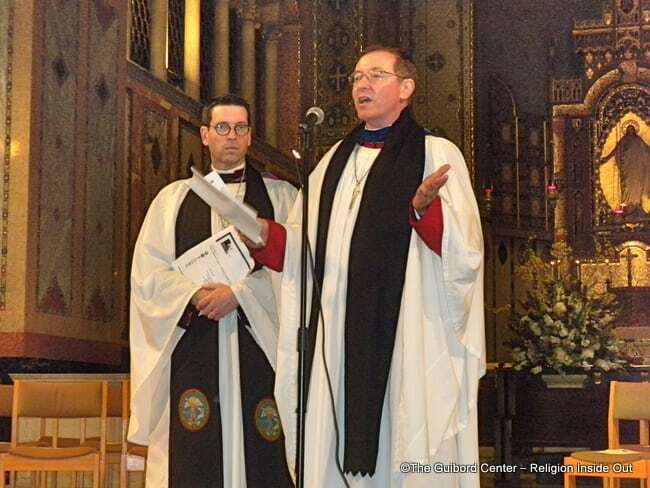 The Verger appeared dressed in his formal crisp purple vestment. His staff held high. The procession had begun. 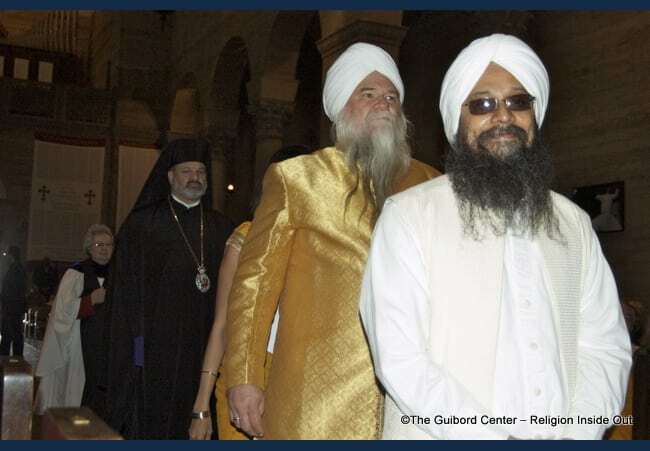 Over thirty beloved religious and spiritual leaders, respected throughout the city, processed in down the long aisle all the way to the front of the cathedral. One at a time. 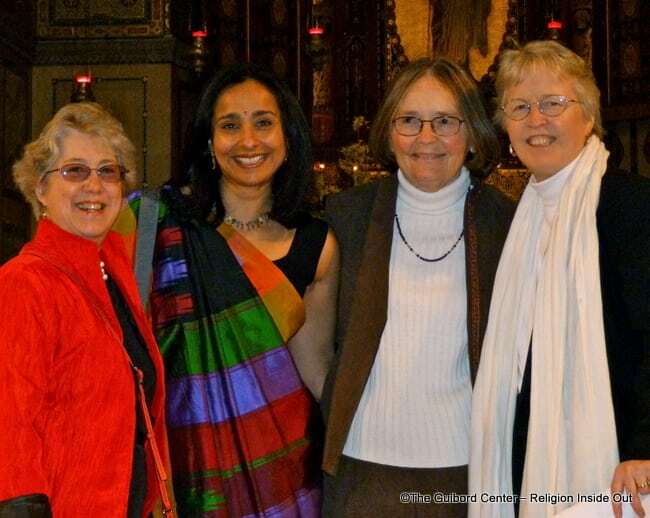 Adherents from many different stripes of Christianity entered wearing their beautiful vestments. 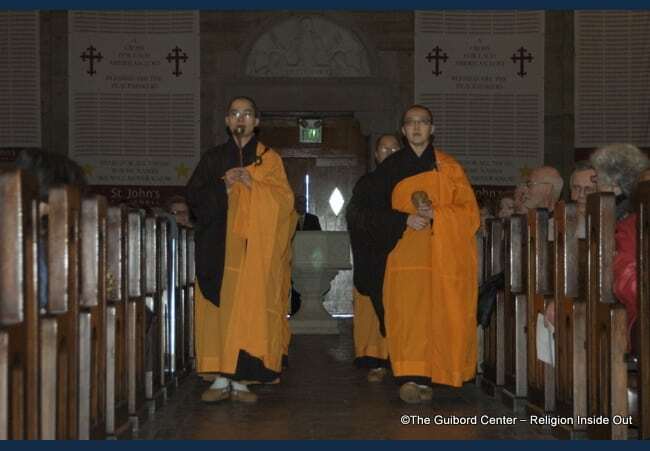 Swamis in their muted orange robes and the Venerable Ones processed. Rabbis with bright prayer shawls and lay leaders in academic hoods processed. 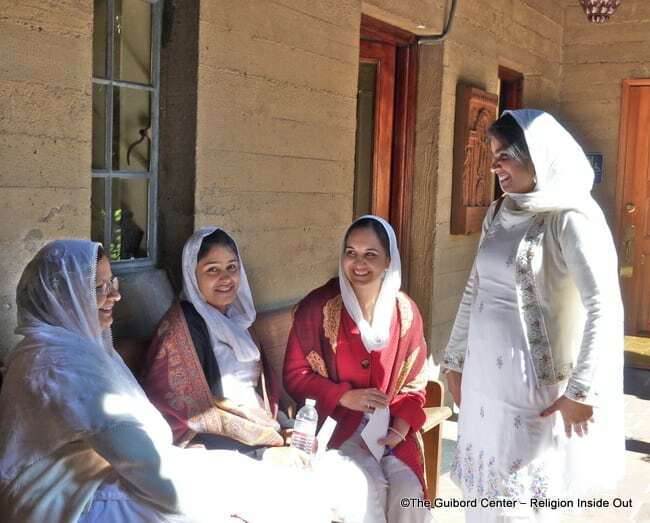 Imams in flowing white robes or business suits and Hindus wearing Saris and orange along with Brahma Kumaris in white robes processed. 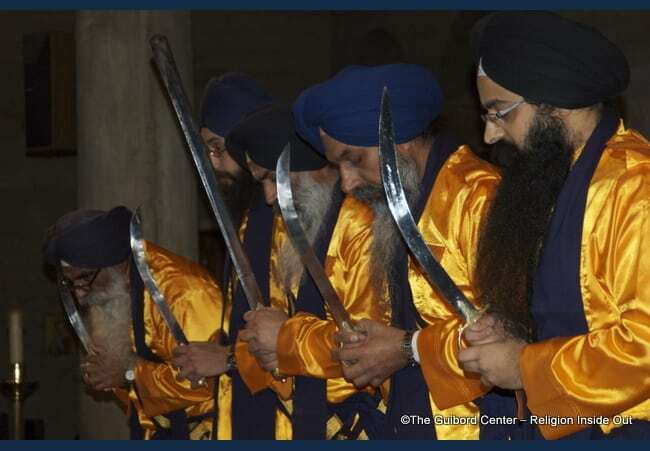 Sikhs in turbans with their knife shining at their sides processed. A Greek Orthodox Bishop processed. Already the consciousness was shifting. People later said they were astonished – transformed – by being witness to so many people of faith coming together in one place to be truly present with one another. 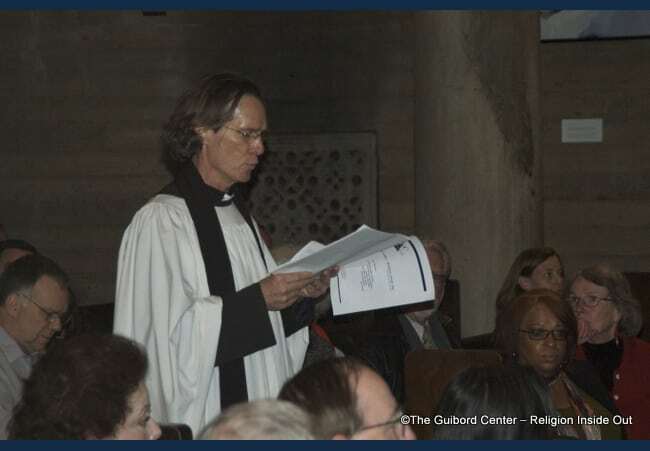 When all were seated on the stage Dr. Guibord introduced The Episcopal Bishop Suffragan who welcomed everyone and affirmed the need for The Guibord Center. Her sentiments were briefly elaborated upon by both a representative of the Mayor’s Office and the local City Council Member who spoke of The Center’s unique and vital role in strengthening the heart of fabric that keeps this city safe and whole. There was quiet pause when they had finished. Those gathered sat peacefully, content to take in the enormity of the moment. 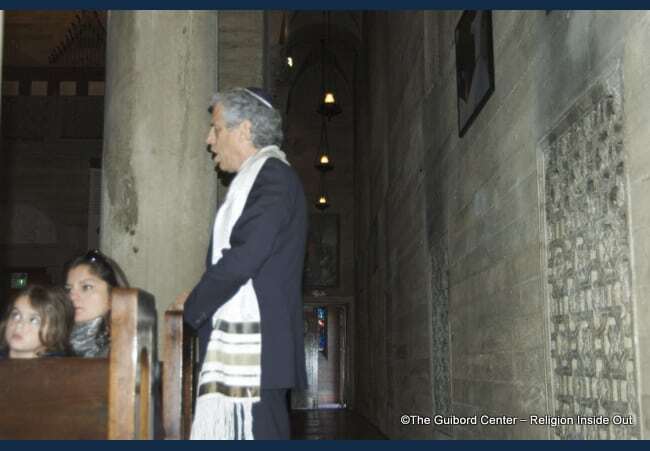 Suddenly a clear, powerful call to prayer broke through the silence as a Jewish cantor stepped from out of the shadows in the midst of those gathered out into the light. The sound touched each of the thick gray walls and bounced upward spinning round all the way to the rafters. All were invited to open hearts and minds to the Holy. 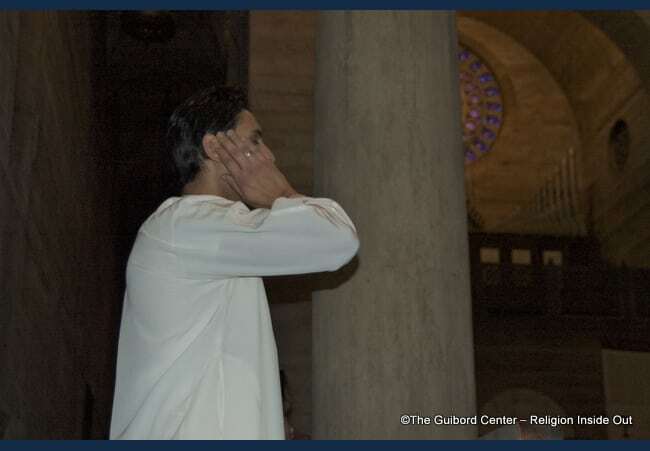 As the notes of the cantor’s call faded, a tall figure dressed in white, stepped out of the shadows on the opposite side of the congregation and now the Muslim call to prayer filled the cathedral, spinning on the still-reverberating air. The sound stunned many. Most had never heard anything like it. They strained to listen thoroughly, completely. Curious. Fascinated. The sound spun and wove its way to the heights. And just as those notes began to fade, there in the back of the church behind everyone came words of Blessing and Peace from an Episcopal cantor. They too, poured out filling the air. 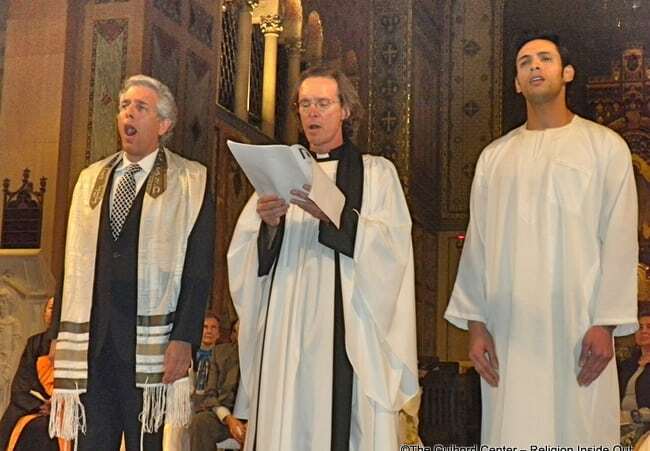 Seconds later all three cantors, Jewish, Muslim and Christian, began interweaving these prayers as they walked slowly to the front where they turned together in a powerfully blended blessing with the words of each still clearly distinguishable. Those who experienced this “Abrahamic Blessing” struggled for words long after. “We are brothers and sisters.” “We are cousins.” “We are one. How could you ever deny it again?” Those were the responses upon the listeners. 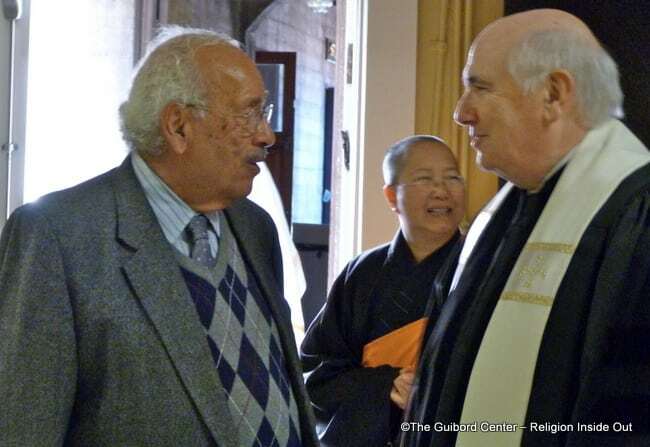 It was only now that Dr. Guibord spoke of the mission and the purpose of The Guibord Center – Religion Inside Out. Everyone had already begun to understand. This was something unique, special, quite extraordinary – an experience that changed lives. Once more she stepped back to let the program explain itself. After a brief piece of music, Indigenous Elder and Grandmother from the Tongva Tribe, Cindy Moar Alvitri, rose to address the first piece of the Mission Statement: “To bring people together to challenge assumptions”. She told a tale in word and song of a daughter kidnapped from her family, her tribe, and of the long journey of being lost, of the love and grief held in sacred tears that forever hold the path back, the truth that the ancestors are always there and that we can not be separated though we can and do become lost for awhile. Her tale set a tone, deepened a process of moving into a level of connection beneath the normal conversations of the day. 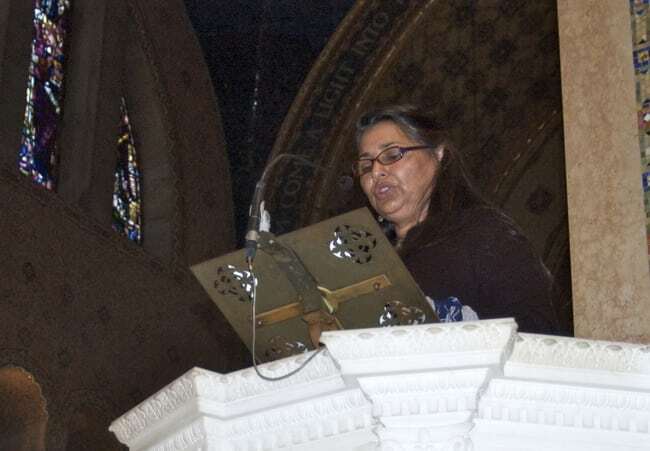 As she concluded a new sound came from the center aisle. 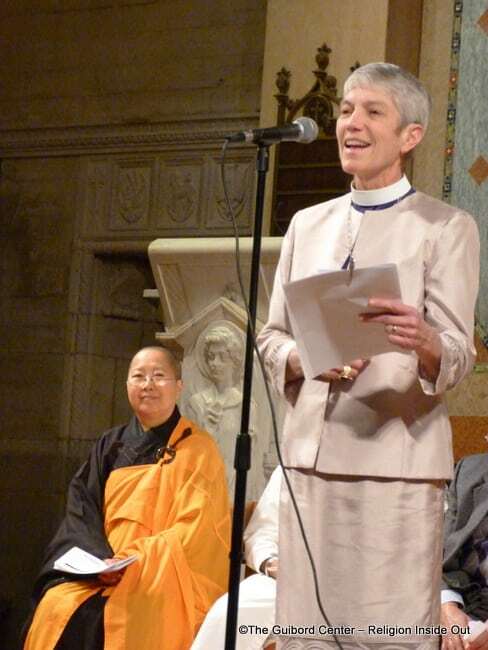 Four physically small women dressed in the orange robes of the Buddhist nuns of Hsi Lai Temple moved together quickly down the aisle. They chanted with a power that was astonishing. Again the sound was strange, unique to many. As they came to the stage the impact was immediate. People perked up in their seats. Awake. Alert. 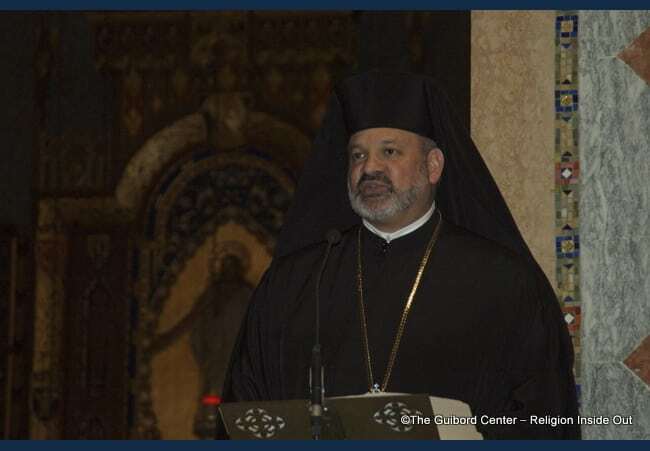 His Grace, Bishop Demetrios of Mokissos next rose to address the “unleash the Holy” aspect of the Mission Statement. 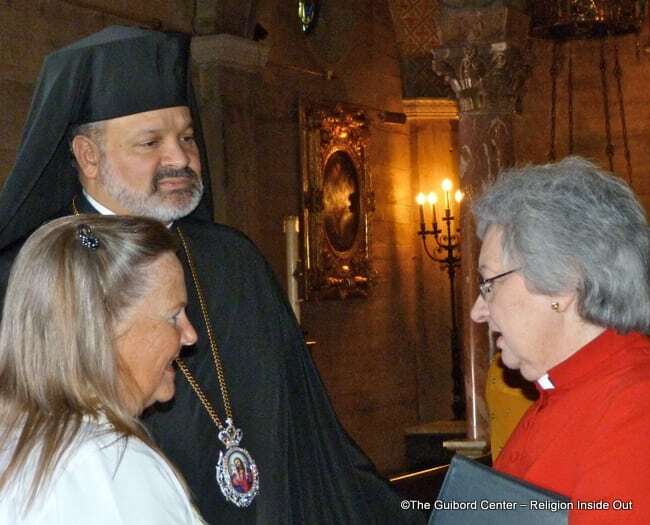 He spoke passionately of the “Christos” that dwells in everyone and of the sacred task of opening ourselves to It [whatever Its name], of answering the urgent call within each of us to embrace the Holy. Brother Brahmananda of Self Realization Fellowship then brought a prayer in the tradition of Paramahansa Yogananda and the yogis of the East and West. 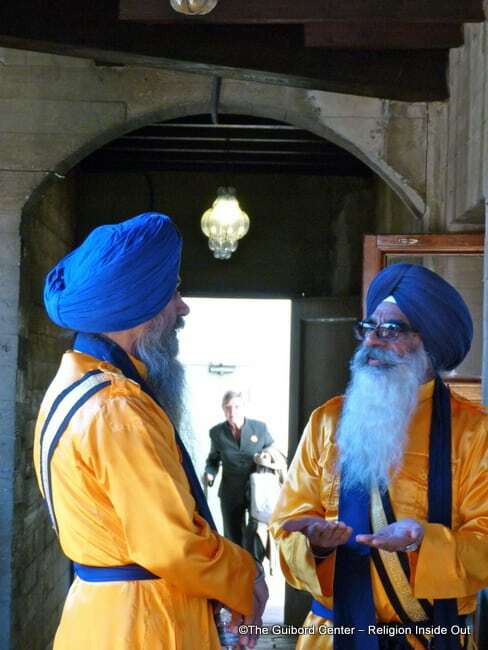 The prayer was followed quickly by the entrance of five turbaned men dressed in shiny bright orange uniforms. The sharp curved swords they carried immediately caught everyone’s eye. 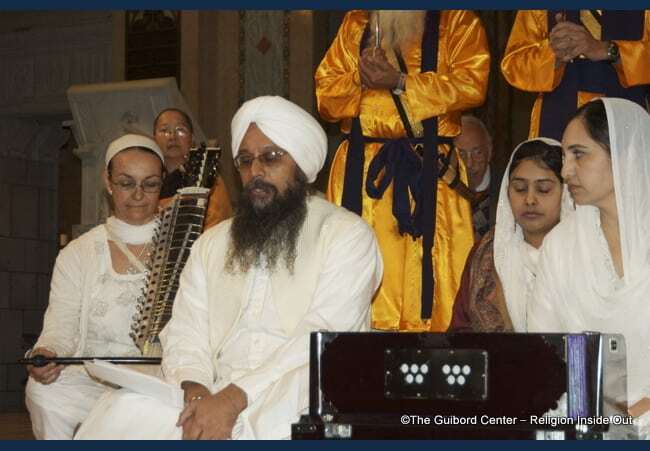 On the stage a small group of musicians representing Khalsa Peace Corps gathered to play their music as Sikh leader, Nirinjan Singh Khalsa rose to the microphone to enlighten those in attendance about the meaning of these outward symbols of the often maligned and viciously attacked Sikh faith. 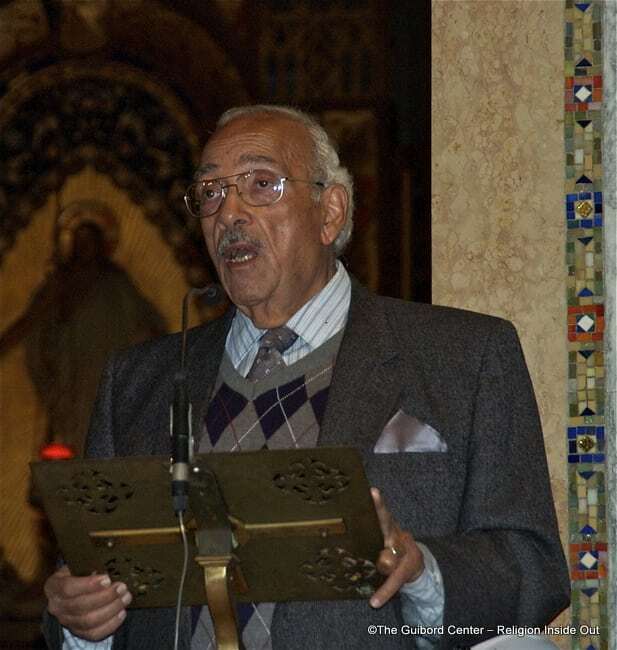 Dr. Maher Hathout, the elder statesman and a spokesperson of the Islamic community, engaged the final portion of the Mission Statement: “to affirm the faith that transforms the world”. 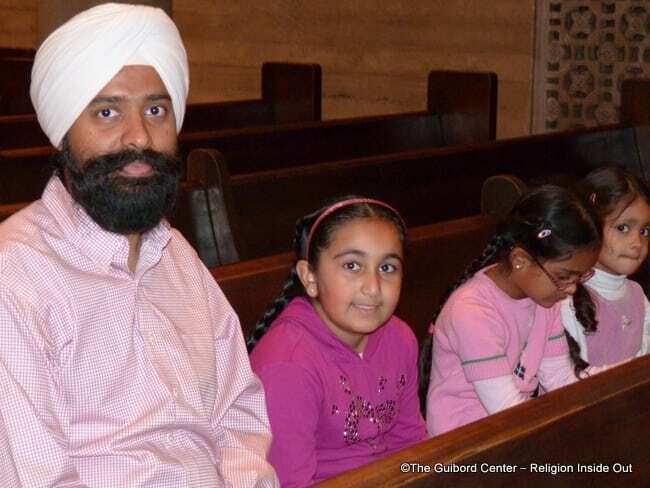 A man known for speaking truth with elegantly simplicity, he in some ways summed up the entire purpose of The Guibord Center by saying; “Faith is too important to be tribalized or trivialized.” The sight of his colleagues in faith, eyes closed, listening attentively beside him, reflected a vision of openness to one another that can, indeed, transform the world. 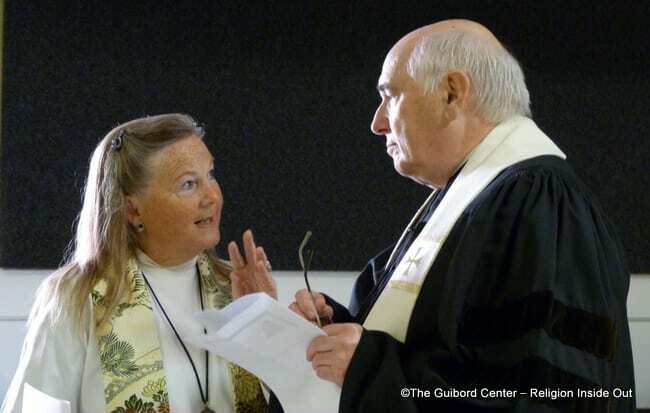 As Dr. Guibord now returned to center stage to lay out the programs for the coming year, people began to see how this newly presented center would, in fact, manifest its vision. 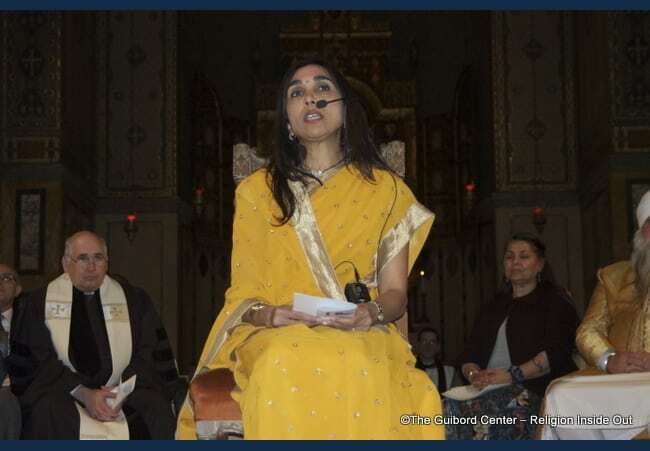 The vision set, it was for the beautiful and serene Rajshree Patel of The Art of Living Foundation to lead all gathered into a time of exquisitely deep meditation. The program closed with the music of St. John’s Choir singing the anthem “Be still and know that I am God”. 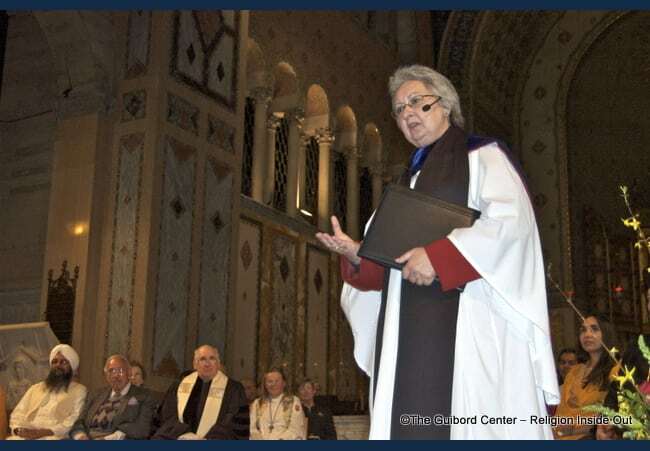 Dr. Guibord rose a last time with a few words of thanks and an invitation for everyone to partake in fellowship in a huge tent filled with hospitality made ready for them.